To me if you don’t like chanachur or Nonta Biscuit / Salted Biscuit (both need to be from bakery not from packet), you are not Bangladeshi. 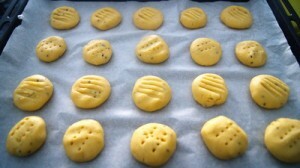 Nonta Biscuit / Salted Biscuit is the salted form of shortbread(interesting). 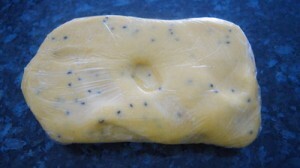 In Bangladesh it is made with hydrogenated vegetable oil(Dalda) rather than butter or ghee. 1. 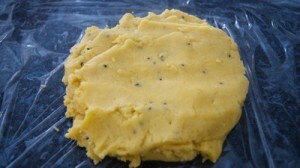 Add butter and sugar in a food processor and mix it till butter starts fading. 2. Add salt and cardamom powder: mix again. 3. Sift baking powder, plain flour and cornflour together. 4. Add sifted flour in food processor little by little and mix it. 5. After mixing flour it will become very soft dough. Take out the dough from food processor and add nigella. Mix it with your hand. 6. Take cling wrap and wrap the dough. Let it set for at least half hour in refrigerator. 7. Preheat the oven on 180˚c(fan forced on 160˚c). 8. Roll in the dough and make your desired shape. 9. Bake it for about 17-18 minutes or until it becomes light brown in colour. 10. Take out from oven and it cool down. 11. Enjoy Nonta Biscuit / Salted Biscuit along with tea. hi.thanks for this recipe.I like this biscuit.I searched many website for this recipe but I can’t find it.I will try this soon. Hi.. i really want to learn the traditional bangladeshi recipes. And i love your recipes. I want to try this recipe. But i have a question. Can u tell me what u mean by corn flour? Is it cornstarch? Thanks. Hi! Corn flour and cornstarch are actually same thing but which way we use it in Bangladeshi cooking gives same effect. Thanks. apu corn flour ki binding er jonno use kra hoy..ami ekta recepi nije nije try krsi without it but ota norom hyse ..crispy hytese na..plzz tell me is it for not using corn flour.oh n i use vegetable oil..thank u.
butter na use korte chaile dalda use korte paren. oil will give soft(norom)texture. Corn flour will give soft but crumbly texture. Apu, if I want to use oil instead of butter,what should be the quantity? 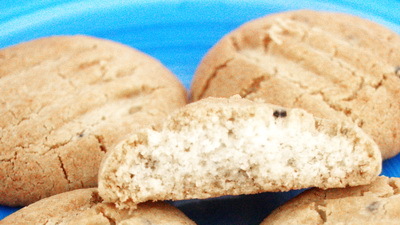 hi, usually i use baking soda in other cookie recipe, what if use baking soda instead of baking powder in this one?